This is a clever piece for a family show. What makes it great is that what starts as a bag BECOMES a silk sign. 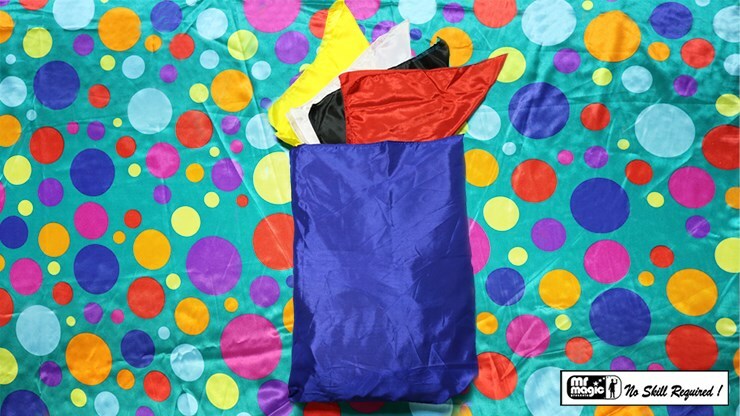 The magician shows 4 different, brightly-colored silk hankies (black, white, red, and yellow) to the audience. He takes out a blue bag and places them inside. The bag is held in front of the magician's chest. The magician then gives the bag a shake and, in the blink of an eye, the bag disappears and instantly changes into a large silk scarf foulard with a picture of a rabbit coming out of a top hat. 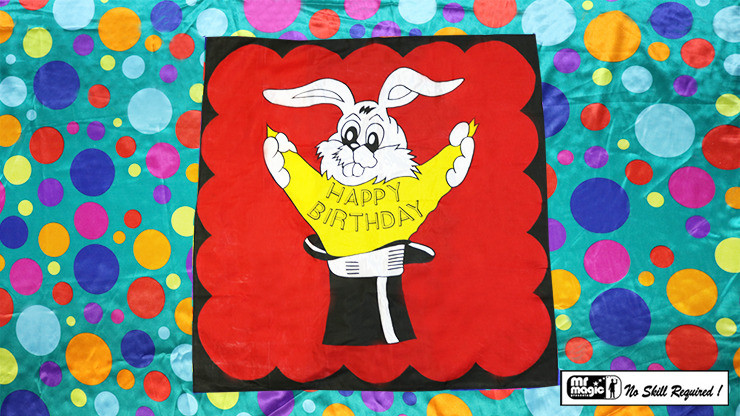 The rabbit is holding a yellow hankie with 'Happy Birthday' written on it. The audience claps in amazement. (Both sides of the scarf can be shown as a convincer.) Easy to do and angle proof.